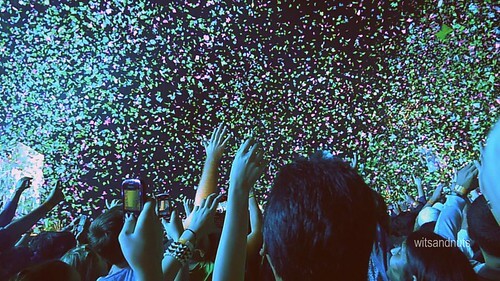 The concert kicked off with mini-fireworks display and confetti complemented some of the next numbers. 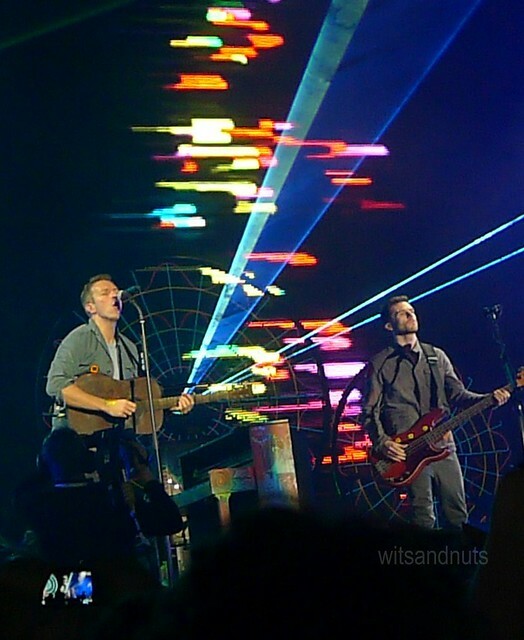 They played Yellow, Viva La Vida, Violet Hill, Fix You, Paradise, In My Place, Every Teardrop is a Waterfall, and more that comprised the epic night. While I prefer Yas Arena as a venue, I found the stage structure better last night (well, it was particularly built for the event) since it allowed the performers to be visually (and actually) more interactive with the audience. 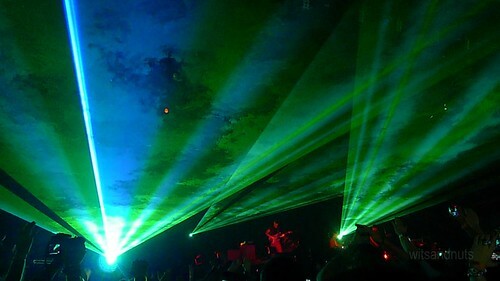 The lights’ vibe was noteworthy, too. 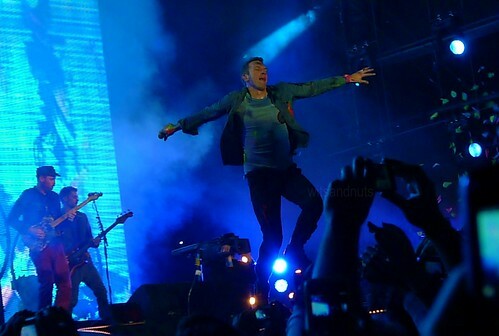 The band’s energy, especially of Chris Martin is unbelievable and crazy, just like the audience’s! Hearts out! At 11:59 PM, Chris led the countdown to year 2012. 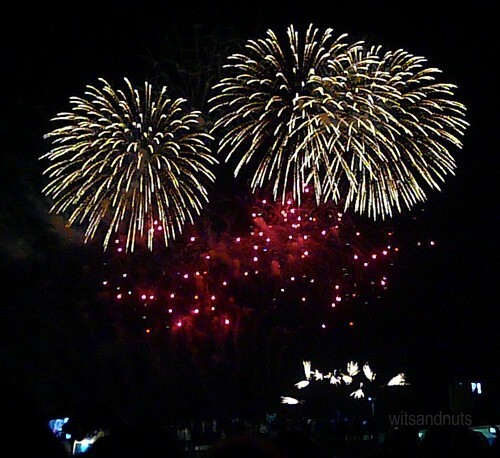 And the fireworks display followed. What a nice way to bid adieu and welcome the new year. 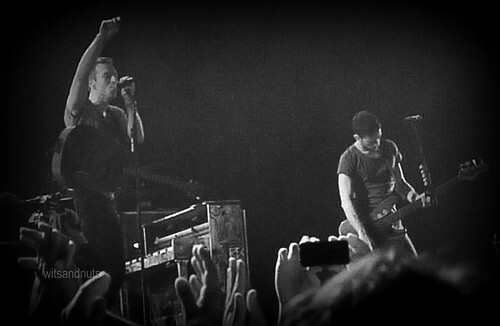 Catch Coldplay if you can, every minute is worth it and that still left me with the playlist/set list on repeat. 🙂 Happy new year to all! Ang ganda ng mga pics mo, as usual. Panasonic Lumix DMC-LX5 pa rin ba? 🙂 Wishing you a great year ahead! yeah! Happy New Year wits. Happy new year, too, Eds! 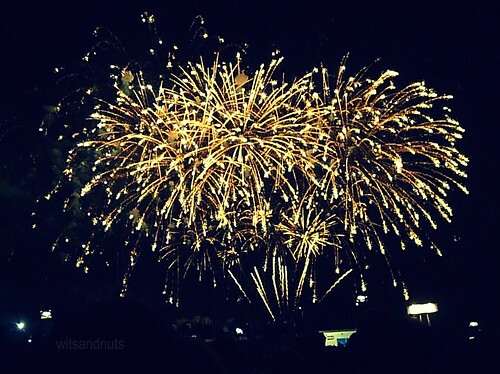 Happy New Year, Wits and to your loved ones! More blessings and blessings in disguise this 2012! wow, jo you really had a blast celebrating new year’s eve despite away from home. happy 2012! may we all have a healthier and more prosperous new year! ps : i had a meet-up with marian of upto6only, your former officemate daw, along with other fellow bloggers last week; we had a nice lunch together with my family. 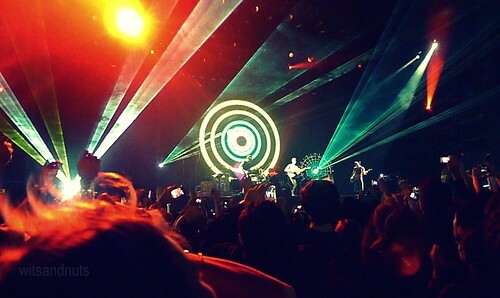 Wow, Coldplay live! What a treat! 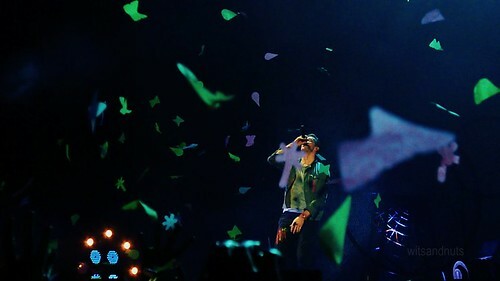 the photo with the confetti is so awesome! you know, i have yet to watch a proper concert. maybe this year if i do not get lazy i would finally catch one. 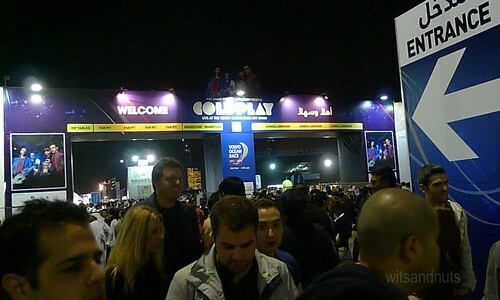 i like cold play but i only know one song, yellow. 😆 happy new year! those are just awesome photos! and what a great “party”that was (in sydney, concerts during NY’s are considered party). you’ve been watching all the high ticket performers. Wow, that’s a wonderful way to welcome the new year. Great shots! 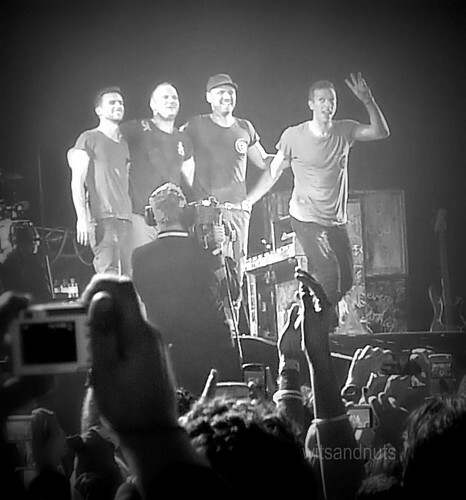 I’m sure the energy levels were high during the concert.